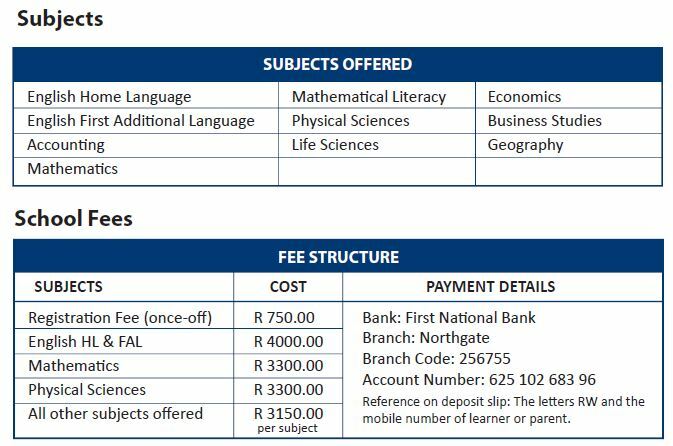 Star Schools’ Matric Rewrite Programme has increased the opportunity for learners to improve their marks post the national matriculation examinations. • Provide learners with a second opportunity to gain a national senior certificate pass. Educators follow the scheme of work as prescribed by the Department of Education. The CASS/SBA mark is carried over from when the learner originally wrote grade 12, therefore the main intent is to prepare for the final paper. • Sections which carry a high mark value in the final paper. On completion of their final examination, Star Schools issues learners with a new Umalusi-approved subject certificate for the subjects they have rewritten. 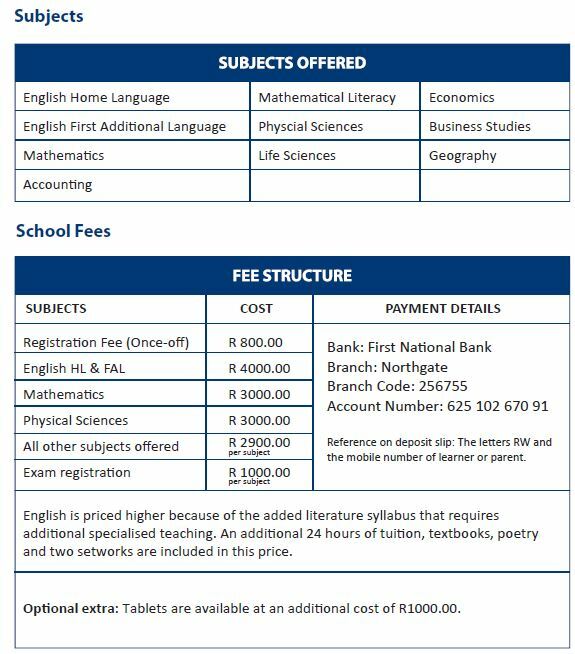 Learners can then apply to the Department of Education for a new matric certificate. Star Schools has achieved unequaled success in providing learners with access to high-quality part-time education through its Matric Rewrite Programme, achieving an average pass rate of 75% since inception. 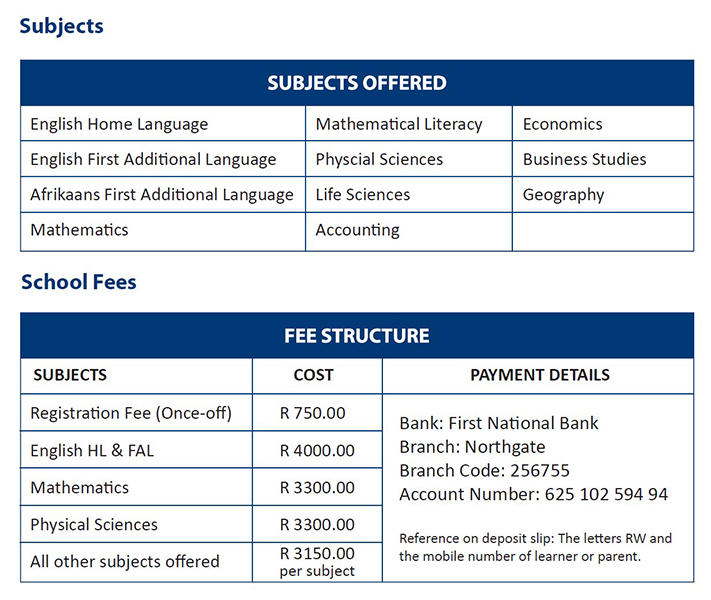 Many learners who register for the Matric Rewrite Programme do so in order to qualify for tertiary education. Star Schools’ programme has been extremely successful over the years, with its learners gaining successful entry into universities and universities of technology. Star Schools ranks among the top ten feeder schools to various tertiary institutions, including Witwatersrand University and the University of Johannesburg. The organisation is also the second highest feeder school to the University of KwaZulu-Natal, and ranks third and fifth highest to the Durban University of Technology and the University of Zululand respectively. Star Schools’ learners who are accepted into tertiary institutions tend to remain there until the end of their studies. They do not contribute to the 80% dropout rate statistic for first year students, the reason being they are relatively well versed in English, understand the importance of time management and most importantly, that hard work and commitment lead to success. Registrations for the Matric Rewrite programme take place each year between 5 January and 15 March. Download and complete the admission form and bring it with you to registration. No faxed or emailed registration forms and/or proofs of payment will be accepted. All payments must be made in full prior to registration. Debit and credit card payments are acceptable. No cash or cheques will be accepted at the office. Financing is available from Eduloan.